HomeUK Athletics NewsNewsWatford Open: How Does it Work? What is the Watford Open and how does it work? Who can run at the Watford Open? Why is Watford so popular? An elite Men’s BMC 1,500m A race line up at Watford. The race was won in 3:37 by Tom Marshall. 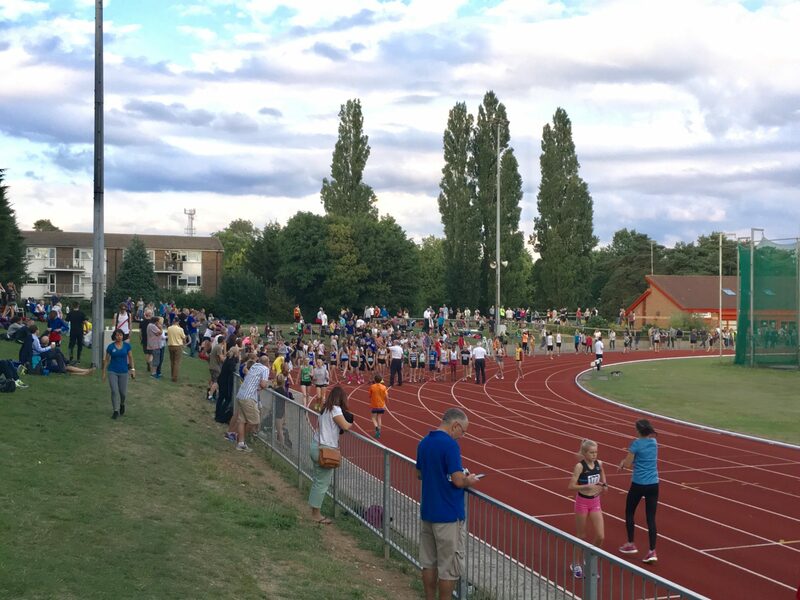 Known as the ‘Watford Open’ to runners, Watford Open Graded Meetings are bi-weekly athletics events held on a Wednesday evening at Woodside Stadium, Watford, organised by the Watford Harriers. A range of athletics events are held on the evening, ranging from 100m up to 3,000m on the track along with a few different field events, depending on the week. The Watford Open is a ‘graded’ track competition which means that when you enter, you put down an expected performance, e.g. 1 min 58s for 800m. You are then placed in a graded race along with other competitors expecting a similar time or performance. This is quite a common structure to open track events as it creates the perfect opportunity to run a fast time as you are competing against runners of a better or similar ability to yourself, creating a higher level of competition. The structure of the races at Watford Open follow a slowest to faster rule with each race building in pace upon the last, creating an exciting and competitive atmosphere towards the end. At the beginning of each new event, a large board is put up about 50m back from the start line for 800s and 20m back from the 1,500m start line for the 15s. This has a list of all the races, in race order, with the expected pace of the race alongside. 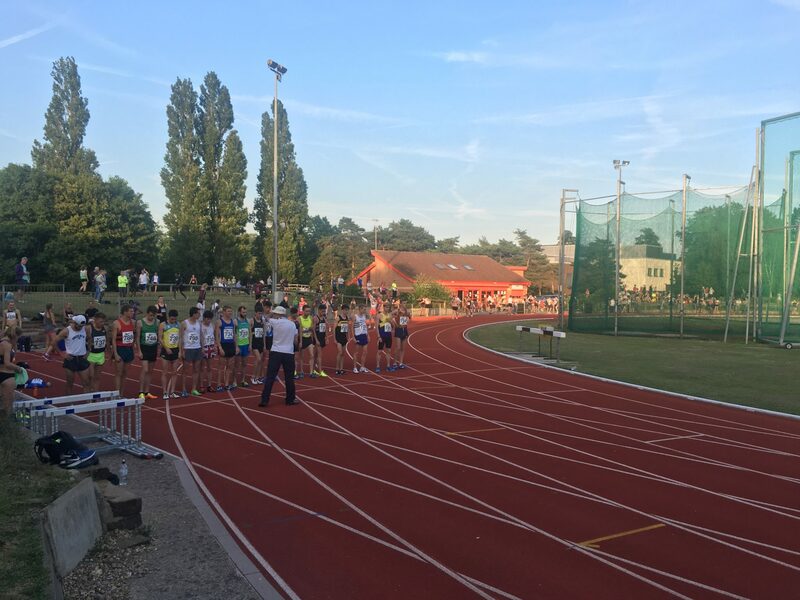 Watford Harriers release a fixture list at the beginning of each track season with provisional timetables and the events running on each night. 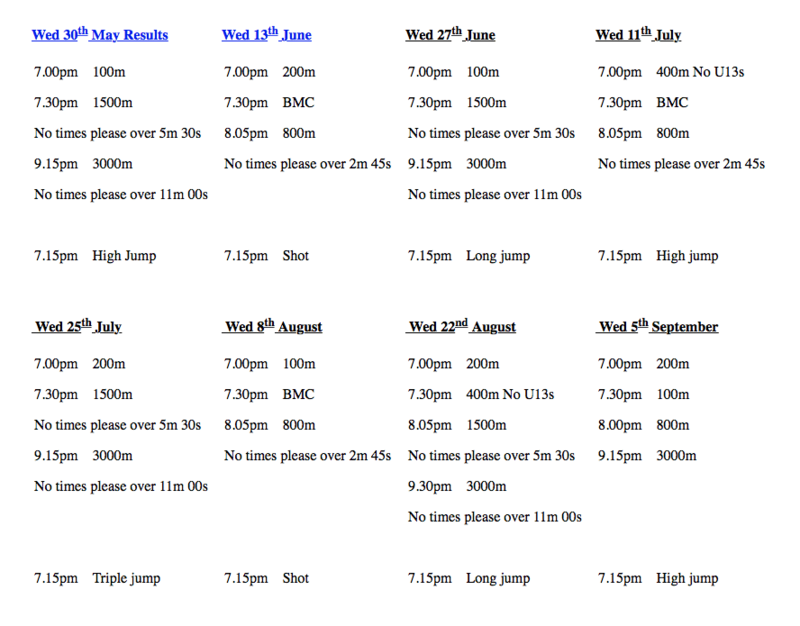 Note: Each night the event timetable is different, there will be different races run, inclusion of the BMC etc. The Watford Open timetable for the 2018 track season. Almost anyone is eligible to run, that is what makes it such a great and inclusive event. In some of the early, slower races you will get older runners of 60 or 70 running against kids who have just taken up the sport and trying it out for the first time. There are, however, some limitations. Firstly, because there are often many races to get through, there will be a time limit to which you must be expecting to run faster than to enter. This isn’t always implemented and it is best to check on the Watford Harriers website. Most importantly, all athletes must now be registered with England Athletics. To register, click here, however this registration is normally organised through your club. Finally, U13 athletes which is school years 6 and 7, may only compete in UKA certified events which discounts the 400m, 3,000m and triple jump. U11s are also not allowed to compete. The entry system for the Watford Open has changed as of this year. In previous years, it was okay for anyone to turn up on the night and enter. However, this led to there being a huge number of races due to the popularity of the event, meaning the latter 3,000m races were held beyond 10PM! This also led to – understandably so – complaints from nearby residents of noise pollution. 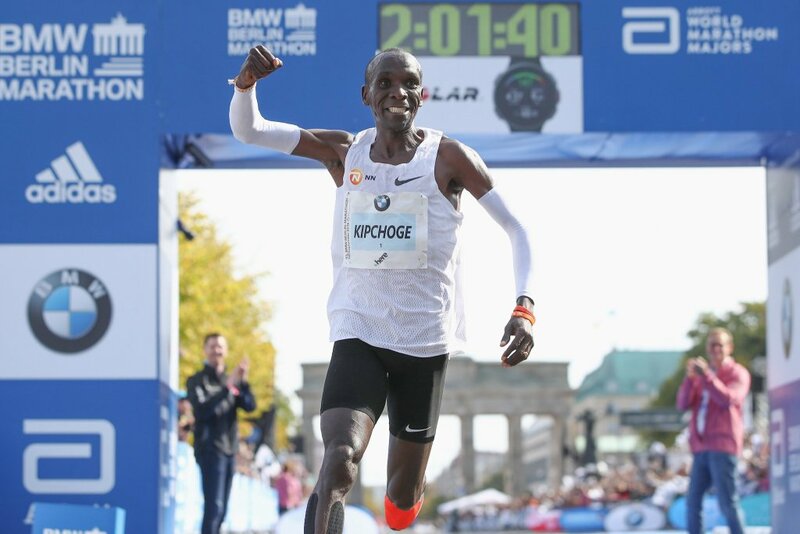 Therefore, to combat this, there is now a limited number of entrants per event, for example the 800m is held at 300 athletes to stop the night overrunning. After you have entered, you still have to go and register on the night. You go into the red club house by the bottom bend of the track (on the right hand side as you enter the stadium) and go and collect your numbers from the officials. Despite there now being entry in advance, it would be an expectation – as is done with the BMC races – that start lists would be made available, especially as all entries are filled up way before the event. Unfortunately, the organisers don’t do this and leave a guessing game for the athletes to know when they will be running, as they could be say either race 8 or race 18 depending on the who enters and at what time. This isn’t a major issue, however it often leaves runners rushed and anxious before the race even begins. Hopefully, with a little more organisation start lists and race orders can be released before the night in due course. Every other Wednesday, Woodside Stadium is buzzing with athletes and spectators littered around the bank of the track and in the stands. This is especially true on the night of a BMC meeting incorporated into the Watford Open, creating a knowledgeable crowd, respectful of the quality of athletics. The popularity stems from the track itself. It is set down a little into the ground, covered by large trees on all sides, creating a very still and quiet track without much wind. That track is also a soft one, a preference for distance runners creating near perfect conditions week after week for runners to run fast times, and it is this opportunity to run fast that attracts runners to the track. Watford is also relatively easy to get to for most; just off the M25 and with free parking in and around the track, it is great for all! 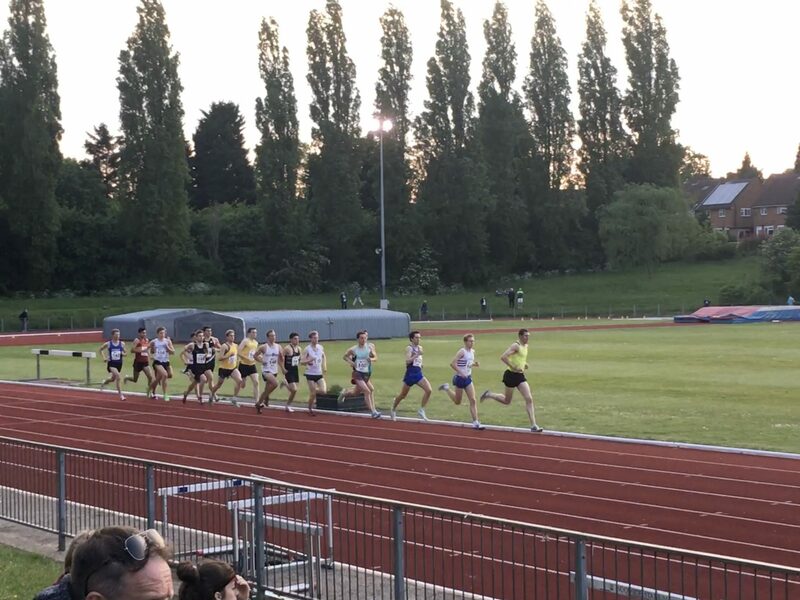 Watford Harriers also has full use of an official Seiko timing system, giving accurate +/- 0.01s timings for all athletes which are then published on thepowerof10.info. This means the Watford Open is a great place for an accurate, official time. Woodside Stadium is a lovely place to watch athletics from. For the 800m races, people tend to gather near the finish line or at the crown of the bottom bend, by the start of the 1,500m start line. The back straight is probably the busiest and most popular place to spectate from for the 1,500m races, giving great views across the track and it offers a buzz around the athletes warming up and competing. The stand is good, but can get cold on some evenings. The stand or the home straight is the best place to stand to see the clock however as there is only one (there isn’t a second one at the 200m mark). A busy warm-up area along the back straight.